The 3rd Josep Carreras Leukaemia Research Institute Scientific Meeting was held on 15 January at the IJC Sant Pau Campus. It was attended by over 70 people, amongst them IJC scientific directors, lead researchers and pre- and post-doctoral fellows. You can consult the symposium programme here. And here are some of the photos taken at the event. The aim of the project, entitled Next Generation Sequencing versus high sensitivity flow cytometry for the detection of residual disease in childhood and adult acute lymphoblastic leukemia is to establish whether a new genetic technique will make it possible to more precisely determine the amount of leukaemia remaining in the organism after initial treatment. This would help in assessing and applying any further treatment such as chemotherapy or the transplant of hematopoietic precursors. 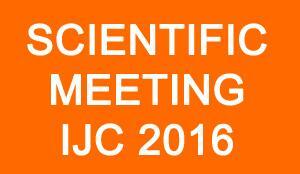 The 57th American Society of Hematology Congress (ASH), held last December in Orlando, was attended by many researchers from the IJC. 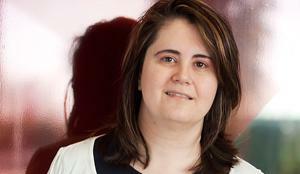 We would like, however, to draw special attention to the contribution made by Verà Ademà from the myelodysplastic syndromes group at the Catalan Institute for Oncology/Germans Trias i Pujol Campus of the IJC. 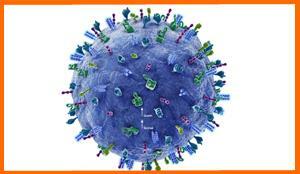 The project presented was: The complete mutatome and clonal architecture of del(5q). Itis an international study being undertaken by groups in Europe and the United States involving 220 patients with myelodysplastic syndrome or acute myeloid leukaemia characterised by 5q deletion in conventional cytogenetics. Normal and cancer genomes were sequenced in order to identify possible genes that might predict the response or resistance to treatment as well as the evolution of the disease. Congratulations Vera for this presentation! Dr. Enric Carreras, member of the Foundation and of the IJC, took part, together with other international specialists, in a symposium on treatment for patients undergoing bone marrow transplants. The symposium was held under the auspices of the U.S. Institute for Continuing Medical Education (Medical Learning Institute and PVI, PeerView Institute for Medical Education). We invite you to read the document here. 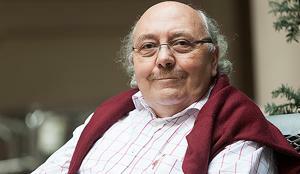 Daratumumab is the name of the drug that Dr. Albert Oriol, together with colleagues from the United States and Canada, has tested to discover a combination which will delay relapse in those patients with multiple myeloma who do not respond to established treatments and/or for whom a transplant would not be considered appropriate. The trial, which was conducted with 157 patients, improved both the time of response and tolerance to treatment. For more information the paper can be found here. 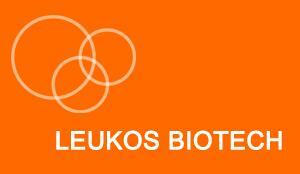 The Josep Carreras Foundation now forms part of the scientific startup Leukos Biotech with a majority 70% shareholding. This new injection of funds has made it possible to contract a member of staff to prepare everything needed to request further funding in order to complete the necessary studies before commencing on Phase 2 of the clinical trials. + info about Leukos Biotech. On account of RNA's increasing importance in the field of biology and its association with cancer the IJC decided to organise a second international conference on this subject to bring together renowned scientists in the fields of RNA biology and related diseases. The conference was jointly organised by the RNAREG consortium and the Josep Carreras Leukaemia Research Institute (IJC) and focussed on current topics in the field of molecular biology. A very successful and similar event was organised in 2012. The conference was organised mainly by Dr. Mayka Sánchez from the Catalan Institute for Oncology/Germans Trias i Pujol Campus (ICO-GTiP) and it was attended by approximately 300 people from around the world. Renowned speakers included Prof. Dr. Andreas Kulozik, Director of MMPU Heidelberg, Germany, Prof. Dr. Myriam Gorospe, chief researcher, USA, and Prof. Dr. Joel Richter, Co-director of the Center for Collaborative Research in Fragile X, UMass, USA. 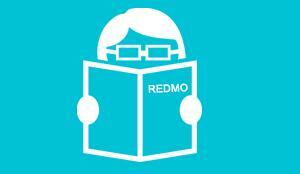 The latest REDMO magazine is out now! The latest Bone Marrow Donor Registry (REDMO) magazine is out now and in it you will find all the latest news about hematopoietic progenitors, the latest figures concerning the increase in bone marrow donors in Spain, opinion and comment, a report on the National Umbilical Cord Blood Plan, articles by patients and donors describing their experiences and much more. If you are still not a bone marrow donor and you would like more information on the subject, you will find the magazine has a section with a list of the questions most frequently asked by potential donors. #TODOSJUNTOAMARKELCONTRALALEUCEMIA (everyone together with Markel against leukaemia) is a micro-donation initiative on the Migranodearena.org (MGDA) platform which has raised €8,273 for our Foundation. It is an initiative by a group of friends in Vitòria to give support to one of them, Markel, who was diagnosed as having leukaemia in August. 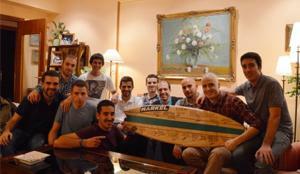 The idea, by one of Markel's best friends Unai, has taken shape in various ways such as online micro-donations, a solidarity day in a Basque school, and the sale of merchandise. 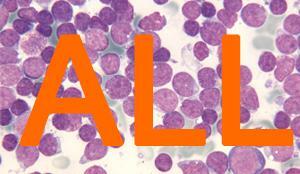 Everyone who wants to can create a fund-raising event on MGDA to help fight against leukaemia. Thanks to these initiatives we receive a lot of funds and publicity. 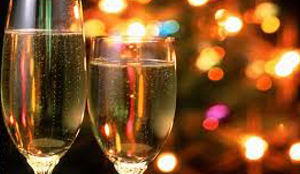 The year has started with funds being raised for our projects with the support of Funes (in Navarre) and Ribadesella (in Astúries), where the year's first fund-raising races have been held. 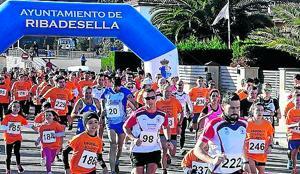 Both towns held a San Silvestre solidarity race with more than 1,000 runners taking part and raising a total of more than €5,000. In both cases it was the first time they had organised a San Silvestre solidarity race and both towns were delighted with the response of the neighbours and runners, as well as with the results. The town councils in both localities lent their logistical support. Donations were raised through runner registration numbers, the sale of T-shirts and in collection-box donations. 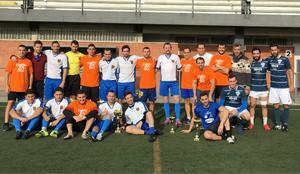 Mossos d’Esquadra, members of the Catalan police force, organised a football match and raised €2.810 for our cause by holding a raffle for various sporting items, specially signed for the event by players at Barcelona Football Club, and through a football 7 competition for which players made a donation to be inscribed.